Details: Do you need a tote to carry your embroidery hoops, large rulers, cutting mats, etc? 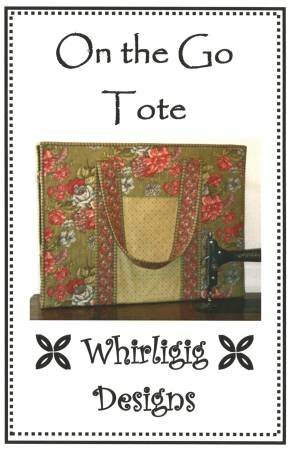 This is a great tote with pockets in all the right places to organize everything you need in a class. Pattern & fabric are additional cost at 20% off.